Celebrate Bhutanese's victory on the Himalaya. 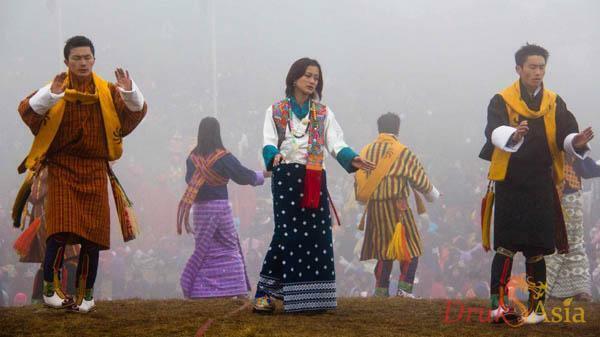 Dochula Festival or Tshechu, Druk Wangyel Tshechu, is commissioned by the Queen Mother Ashi Dorji Wangmo Wangchuck in 2011. 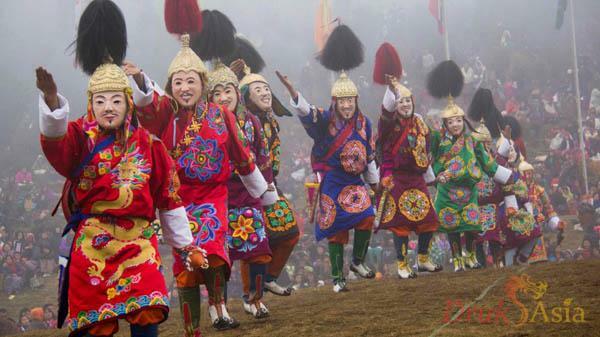 This is a unique festival as the festival is fully performed by the Royal Bhutan Army rather than the monastery. 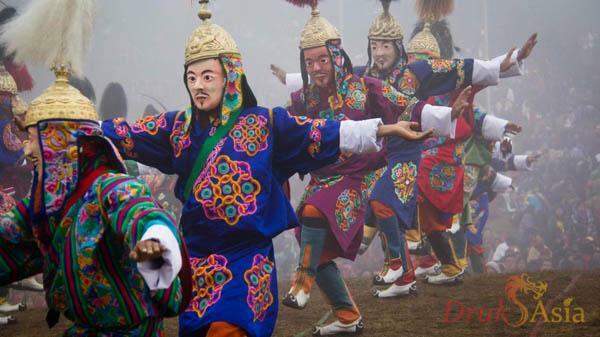 The soldiers have been given three months training in folk and mask dance. The festival will start at 0900 and ends at 1615. Kyichu Lhakhang - Also known as Kyerchu temple or Lho Kyerchu, it is the oldest temple in Bhutan. Just like Jambhay Lhakhang in Bumthang, it is one of the 108 temples built by the Tibetan King Songtsen Gampo to subdue and pin down an ogress that was obstructing the spread of Buddhism. According to legend, all 108 temples were built in a single night. Go back in time and history and visit the seventh century Kyichu temple. 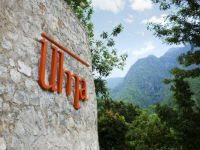 As the name suggests, the temple is a reservoir of peace, and you will feel at peace here. 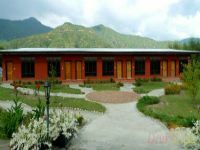 Next to the temple is a house that was turned into a museum dedicated to the late Dilgo Khyentse Rinpoche. One can come across photographs and other artifacts belonging to Rinpoche. Dumtse Lhakhang - Built in 1433 by the iron bridge builder Thangton Gyalpo, the temple was built to subdue a demoness and so was chained firmly to the ground. It's three floors represents hell, earth and heaven. To enter Dumtse Lhakhang, you will require a special permit. 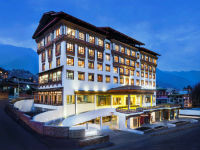 Excellent one stop services for the Bhutan's trip and I never regretted choosing to go with Druk Asia. 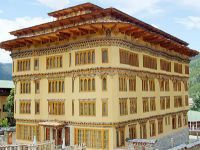 The 7D6N trip have given me and my wife an understanding of the rich Buddhist culture and lifestyle of Bhutan. 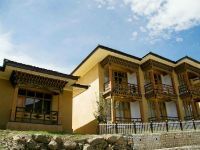 From the pick up at Paro International Airport on the first day to the sending off on the last day by the Guide and Driver were seamlessly perfect. The hotels are great but the free WIFI have rooms for improvement for the 3 stars hotel/resort that we had stayed in. Every meal is fantastic especially the vegetable dishes. 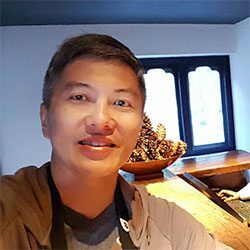 The climb to Tiger's nest was most memorable especially when rookies like us were struggling to climb up the path and you see elderly locals walked past us effortlessly. 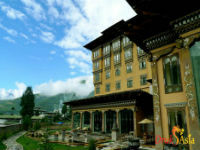 Definitely will go to Bhutan again with Druk Asia! I had a fantastic time in Bhutan and enjoyed every minute. My dedicated guide Ms Tashi Dema and my driver Dorji Dago were excellent in every way and very professional. I would like to thank them from the bottom of my heart. The new Hyundai Santa Fe car 2200 cc was excellent with good road holding. Im glad i went alone and did not join the tour because it gave me more flexibility. 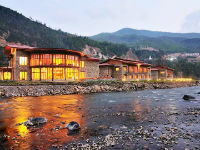 Will certainly return to Bhutan in April. We had a wonderful and magical time in Bhutan. You have an amazing country and we left in awe. About the trip - we feel privileged to have been amongst the few travellers to have visited Bhutan. The itinerary was fine, as per what was described in your travel notes. So we were well prepared. We were lucky to have encountered National Day and saw some of the festivities. We also enjoyed the traditional festival (sorry forgot the name for that). 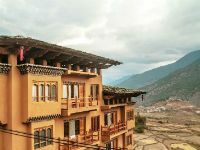 I think besides the amazing scenery, the other most interesting aspect of the tour is understanding the culture of Bhutan.